Traditional birth attendants (TBAs): Traditional birth attendants (TBAs) are vitally important in providing safe and healthy deliveries for women and their new babies. 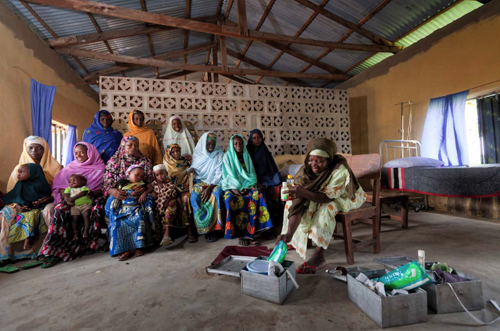 In a clinic in a nomadic community near Yola, Nigeria, a TBA lectures a group of women on the various components of their delivery kits, which are used to facilitate healthy births. Some of the truly unsung heroes of this story are the healthcare workers who devote their lives to providing basic health services to rural communities. Midwife and expectant mother in Otavalo, Ecuador. 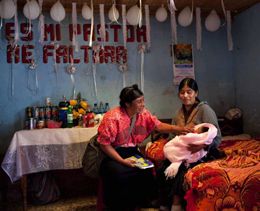 A postnatal visit by a community healthcare worker, in Nahuala, Guatemala. : While checking on the health of the newborn, she also discusses family planning with her client. From remote areas in the Amazon, to highland villages in Guatemala, to rural areas in northern Nigeria, I have experienced firsthand the commitment of nurses, midwives, healthcare workers, and NGO staff. Their work is absolutely vital to reducing maternal mortality. These individuals are completely dedicated to serving their communities and, given the lack of infrastructure, this is no easy task. Their days are long, and can entail bouncing around on dirt roads, or walking into remote villages in the jungle, or going upriver for many hours to visit a relatively inaccessible community. 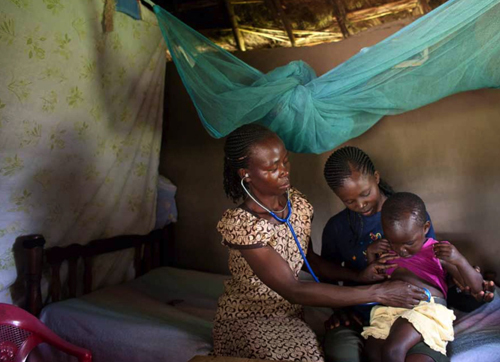 In a rural village outside of Kisumu, Kenya, a healthcare worker examines a child for possible symptoms of malaria. Similar to the conditions in many other developing countries, in Mozambique there are twenty-five obstetricians for 20 million people, and almost all of them are in the capital city, Maputo. The consequences of such grossly insufficient healthcare systems have become all too evident with the recent outbreak of Ebola in West Africa. Liberia, one of the worst hit countries, has only 200 doctors for a population of 3.5 million. In most areas of these countries, health services are not delivered by physicians, and often not even by nurses, but rather by healthcare workers. 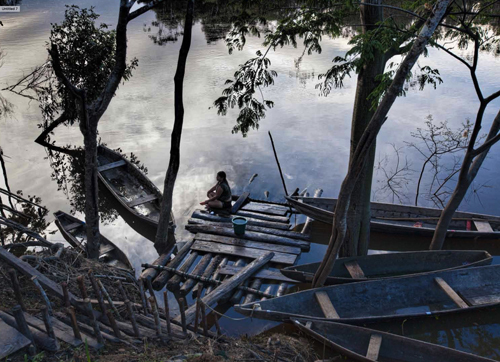 A client waits on one of the docks leading up from the Amazon to the village. 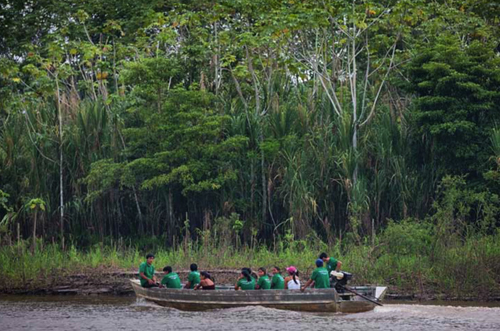 Healthcare workers on the way to visit a community deep in the Peruvian Amazon. : Healthcare workers on the way to visit a community deep in the Peruvian Amazon. The journey from Iquitos to the village takes two days by canoe. 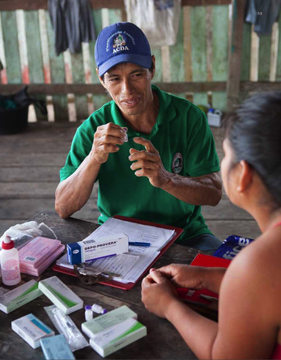 Association for Amazon Development and Conservation (ACDA): Association for Amazon Development and Conservation (ACDA) volunteer community health workers provide contraceptive methods to community members to prevent unwanted pregnancies, and condoms to prevent sexually transmitted infections, including HIV. As word of this program travels, ACDA continues to receive requests from other villages to further expand the program. The surprising effectiveness of these workers has been studied by Lynn Freedman, the Director of the Averting Maternal Death and Disability Program at the Columbia University Mailman School of Public Health. According to Dr. Freedman: “In the rural areas of Mozambique, Malawi, and Tanzania, more than 90 percent of all C-sections are done by non-physicians. "The studies show no meaningful difference in outcomes between surgeons, including obstetricians and also general surgeons, and these non-physician clinicians. "The studies show essentially equivalent safety records. ...At the end of seven years, about 80 percent of the non-physician clinicians were still [practicing in rural areas], and actually zero of the physicians were still there.” Dr. Freedman’s study has found that these skilled healthcare workers can prevent 75 percent of maternal deaths." This work [preparing this photo-essay] has taught me a profound lesson: The human condition is wrought with great uncertainty and suffering, yet the human spirit and the hope for a better life can withstand terrible hardships and even grow stronger in the face of adversity. The women you will meet in these pages have constantly inspired me, and I’ve come to understand that their cause is our cause, their humanity is our humanity. It is my fervent hope that we in this country, blessed as we are with freedom and great material wealth, can join hands to support the legitimate aspirations of these forgotten women and offer them a real and enduring sense of hope and justice. Mark Tuschman has worked as an international freelance photographer for more than 34 years. As a photographer committed to issues of global health and development, he was privileged to receive the photographer of the year award from the Global Health Council in 2009-2010. His work has been featured in many internal health and development conferences, including the Pacific Health Summit in London in June 2010, a conference promoting women's reproductive health care and the Audacia Forum, a conference on girls' education in NY in September 2011. 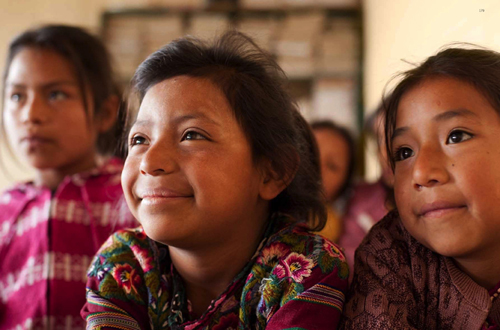 In 2012, his images were used to illustrate the UNFPA 7 Billion Campaign. His photographs were used to publicize and also exhibited at the WomenDeliver Conference in Malaysia in 2013. In January of 2012, he documented the issues of dowry abuse and child brides in India; this work was featured at a one man show at the World Affairs Council in San Francisco. For the past two years, he has been featured in Global Visions, a retrospective juried exhibit at the World Affairs Council. In 2013, UNFPA has used his photography to illustrate the State of the World Population and WHO is using his photography to illustrate their World Malaria Report. In 2014, he was awarded the Grand Prize for socialdocumentary.net international photo contest, cosponsored by Management Science for Health. Published on the Horizon International Solutions Site at http://www.solutions-site.org on 31 March 2019.